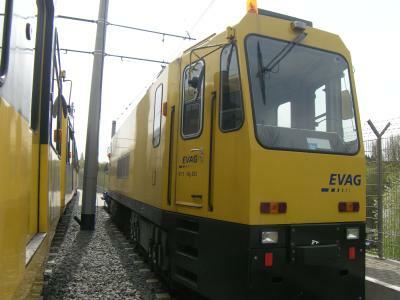 VIA Verkehrsgesellschaft, a joint venture between Essener Verkehrs-AG (EVAG) and Mülheimer Verkehrsgesellschaft mbH (MVG), has commissioned Vossloh Kiepe to upgrade its two railgrinders. The upgrade concerns the drive system and in particular replacing the traction converter and integrating the relevant control technology. Railgrinders are special-purpose vehicles that play an important part in rail network maintenance and conservation. Their job is to grind and clean the rail head and they are designed for operation on meter gauge (1000 mm) and standard gauge (1435 mm) tracks. The two Windhoff SF 60 railgrinders first entered service in 1999/2000. The power converters have become obsolete and need replacing as the availability of the vehicles can no longer be assured. Replacing the traction converters calls for an integrated design. The design of the new power converters will be based on the DPU 103. To ensure compatibility and functionality, the converters need to fit the existing installation envelope, taking account of the mechanical and electrical interfaces. The existing traction motors, line, and filter chokes are to be retained. The new traction control unit will be adapted to the vehicle control system. The preparatory design and engineering work is extensive and will take place in close coordination with VIA and the vehicle licensing authorities to ensure the planned schedule is adhered to. The conversion work will take place at the Talbot plant in Aachen. The vehicles will be transferred to Aachen early in 2018, upgraded, and returned to active service with VIA in the summer of 2018. 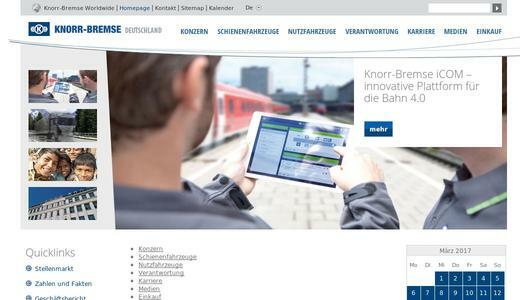 Knorr-Bremse is the leading manufacturer of braking systems and supplier of additional subsystems for rail and commercial vehicles, with sales totaling approximately EUR 5.5 billion in 2016. Some 25,000 employees develop, manufacture, and service braking, entrance, control, and energy supply systems, HVAC and driver assistance systems, as well as powertrain-related solutions. As a technology leader, through its products the company has been making a decisive contribution to greater safety by road and rail since 1905. Every day, more than one billion people around the world put their trust in systems made by Knorr-Bremse. Knorr-Bremse subsidiary Vossloh Kiepe, based in Düsseldorf, Germany, is a globally active supplier of electrical systems to the leading rail vehicle and bus manufacturers. The company offers efficient solutions and ecologically sustainable concepts for low-emission public transportation with ecofriendly electrical equipment for light rail vehicles, metros and regional rail networks as well as for battery, trolley and In-Motion-Charging (IMC) buses.